One in four workers are yet to receive any information from their boss around the incoming workplace pensions and Auto Enrolment, research published by business software and services provider Sage has found. The study found 6.1 million workers in the UK are 'confused' over the changes to the new workplace pensions arrangements, which will ultimately the impact the pension pots of millions. The research is being published to mark the two-year anniversary of the start of Auto Enrolment which requires businesses by law to automatically enrol staff onto a workplace pension scheme. 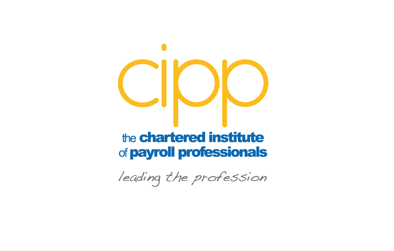 It is instructive to compare this new research with the CIPP National Payroll Week survey which showed that nearly half of affected employees did not understand the changes coming along. With the DWP saying up to 11 million people in the UK will enrol onto a workplace pension, Sage has today warned that an 'Auto Enrolment crunch time is fast approaching' as the staging dates for firms with less than 60 employees on the horizon start on October 1st. Two years into the biggest shake-up to workplace pensions there is still significant uncertainty surrounding the changes to pensions. More than half of people (56 per cent) find the term Auto Enrolment confusing and could not say what it relates to, new research has found from business software and services provider Sage UK. The study of more than 1,000 full time employees also found that one in four people (27 per cent) are still in the dark about what the changes mean for them and their retirement. A further 25 per cent have not received any information from their boss on the changes to workplace pensions, equating to as many as 300,000 UK businesses*. As 11 million people** in the UK are enrolled onto a workplace pension, the research suggests as many as 6.1 million are confused about Auto Enrolment. Automatic Enrolment was introduced in 2012 and is the Government's flagship legislation to solve the UK's £28 billion pension black hole. 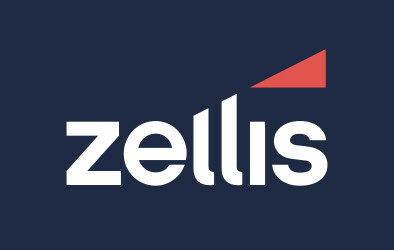 It requires employees to automatically enrol all eligible employees into a pension scheme requiring contributions from both employer and employee. For 225,000 firms this will be the first time they will have offered a workplace pension scheme. When workplace pensions and Auto Enrolment were explained to respondents, over three quarters (76 per cent) stated they agreed with the changes being introduced. However, with 35 per cent indicating they wished their employer had provided them with more information, there is clearly an education and awareness gap that needs addressing. "The way we save for retirement has transformed in recent years, but the lack of awareness about the change is a major concern," said Lee Perkins, Managing Director, Start-up and Small Business Division at Sage UKI. "The fact that there is such confusion and ambiguity surrounding the term Auto Enrolment means the language surrounding workplace pensions needs to be looked at and considered carefully. "The Auto Enrolment crunch time is fast approaching. If you've not heard anything and have questions about what it means for you, either ask your boss or head to the Government website. This is something that will affect the majority of people in the country and will have implications for your retirement so it is vital you are up-to-speed on the changes." In 2014, businesses with between 60 and 350 employees will reach their staging date and begin to automatically enrol any eligible jobholders meaning as many as 50,000 firms will enrol their employees. Progressively smaller and smaller businesses will then be required to offer a workplace pension to their employees in a phased rollout known as staging.